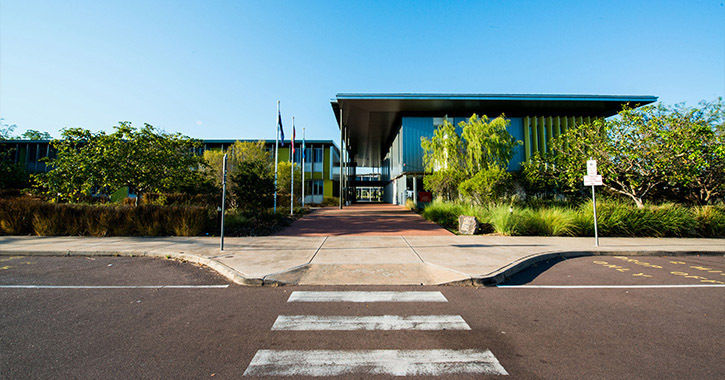 There are four houses at MacKillop which students are divided into. 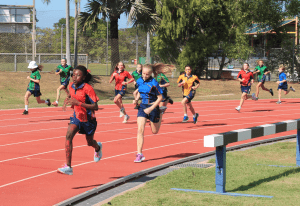 Points are awarded to the houses throughout the year at sporting carnivals, MacKillop Day activities and in general at discretion of principal for demonstration of the College’s values. 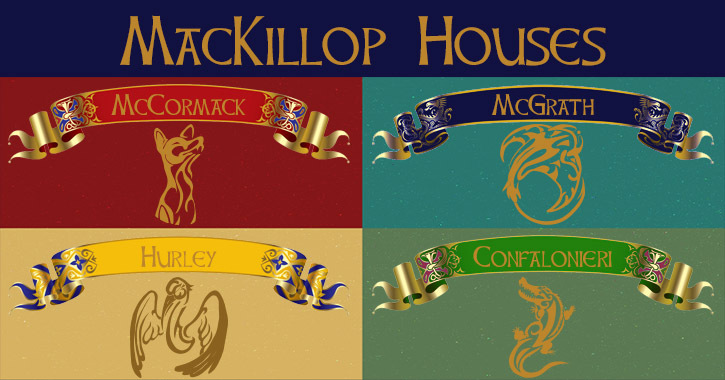 More information on the people behind these house names can be found on the College Houses Page. 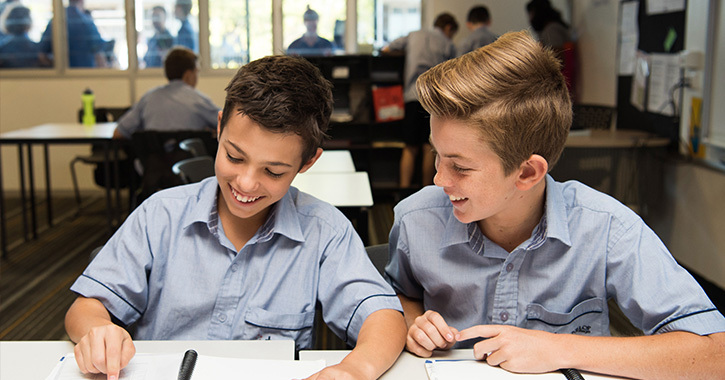 Students are required to wear their house colour uniforms on Fridays. 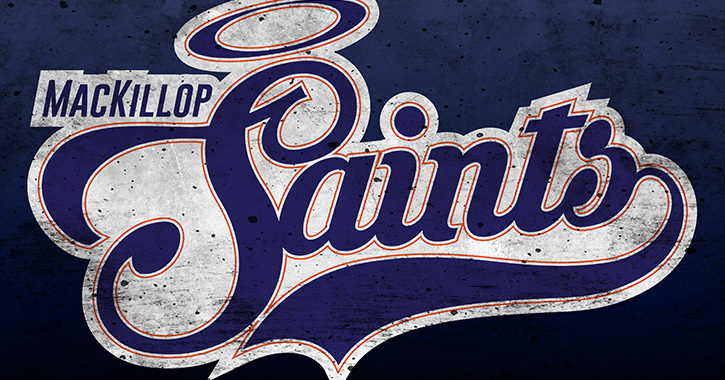 St. Mary of the Cross MacKillop’s feast day is celebrated on the 8th of August. The feast day is now recognised as a solemnity. 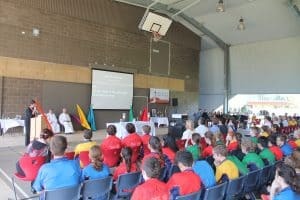 This honour is a recognition that the story of and devotion to St Mary MacKillop has a prominent place in the Catholic community in Australia. 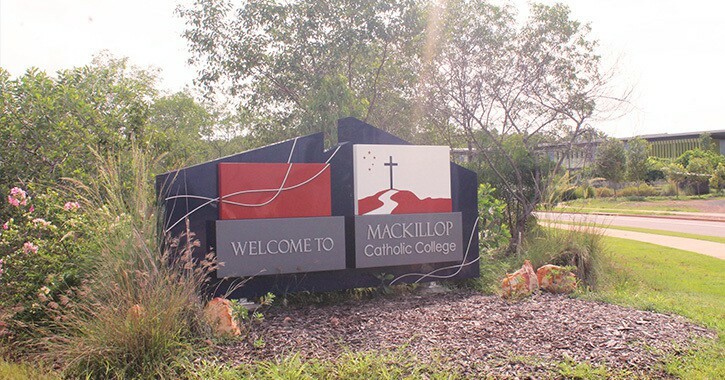 Archbishop Philip Wilson, the president of the Australian Catholic Bishops Conference, says “This honour is a recognition that the story of and devotion to St Mary MacKillop has a prominent place in the Catholic community in Australia”. 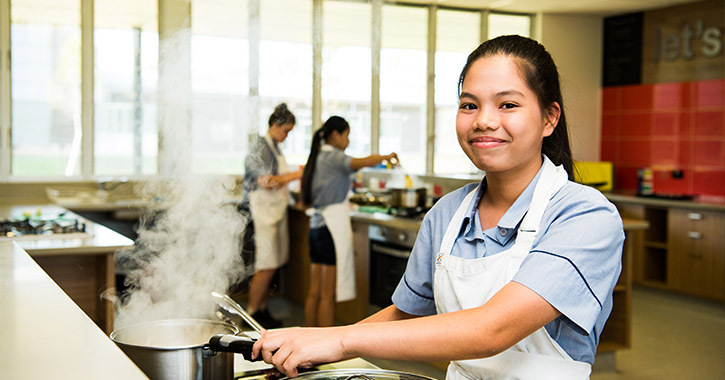 At MacKillop Catholic College we celebrate this occasion each year with a day of fun and activities, including our annual ‘MacKillop Dash’. 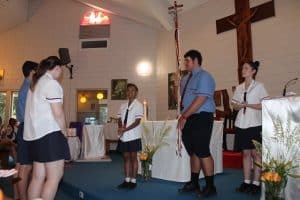 The MacKillop Catholic College Processional Cross was created by the first Year 12 cohort to graduate from our College in 2015, as a gift to pass down to future generations of College Leaders. The staff is divided into 10 sections, representing the 10 students in this original graduating class, and the crucifix is repurposed from an older item from the Palmerston Parish, linking our College to the longer tradition of our parish and our wider community. 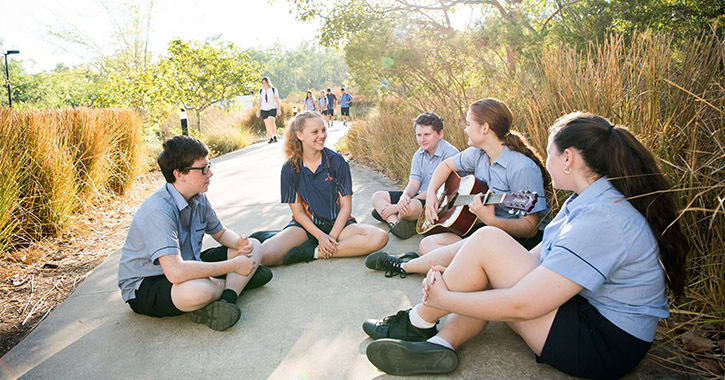 Special College tabards were created for the first year 12 graduates. 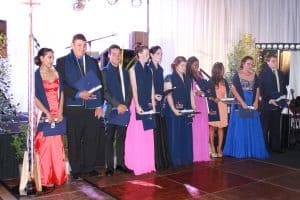 The college emblem decorates either end of the navy blue tabard and graduating students are invited to sign the back of the tabard once they have completed the graduation ceremony. It will be a proud day when there is no more room for signatures on the back of tabards.